Peninsula Dental Social Enterprise is a community interest company launched in September 2013 – that has combined Plymouth University Peninsula Schools of Medicine and Dentistry’s Dental Education Facilities and all its community activity under one umbrella. The four facilities – two in Plymouth and one each in Exeter and Truro – were created to give dental students experience of treating NHS patients under the supervision of qualified dentists. The focus of Peninsula Dental Social Enterprise is on teaching and training; research; community engagement; workshops; providing dental treatment; education about oral health; and other related activities. The benefits to the wider community are improved oral health and education and a reduction in oral health inequalities. The concept has been so successful that more than 10,000 people in Devon and Cornwall now have access to NHS dental care where they may not have done so before, making a real impact on oral health improvement in the South West. The Plymouth University Peninsula Schools of Medicine and Dentistry Dental Community Development Team is instrumental in ensuring that groups in the community who may not have had access to NHS dental care before, receive it. The team works with a range of organisations, from schools to nursing homes, prisons to rehabilitation units, and groups that represent people with particular medical conditions, arranging visits to the Dental Education Facilities, oral health awareness activities in the field and ensuring that the barriers stopping certain people getting NHS dental care are removed. The team also organises special study units, which see dental students carrying out projects with community groups to mutual benefit – a vital and innovative part of student training.ools of Medicine and Dentistry Dental Community Development Team is instrumental in ensuring that groups in the community who may not have had access to NHS dental care before, receive it. In support of this, new applicants and renewing Mark holders are asked to respond to a set of social impact questions, which are designed to help them think about the social impact they create, and to articulate this clearly and succinctly. 1) What social differences and changes have you aimed to create (or supported)? Peninsula Dental Social Enterprise CIC (PDSE) is responsible for running the Dental Education Facilities (DEF) across the Southwest, with clinics in Exeter, Truro and two in Plymouth. The DEFs are located in or close to areas of high deprivation and are intended to enable access to dental treatment for disadvantaged and socially marginalised or vulnerable people who frequently suffer poor oral health. The University of Plymouth’s Peninsula Dental School students provide the majority of the patient treatments while being supervised by a team of highly qualified dentists and supported by a dedicated staff team of dental nurses, hygiene therapists and clinical support workers. Both the school and the clinics were established to tackle oral health inequalities in the far Southwest, training dentists who may stay in the region once qualified, treating patients in the teaching clinics who may not otherwise have access to treatment, and providing and promoting oral health education in the communities served. PDSE works closely with Well Connected, a community engagement Charity, and our local communities including schools, prisons, care homes and charitable organisations to promote and develop programmes for oral health education. As part of their Inter Professional Engagement Module in years one and two of the curriculum, students work to deliver oral health projects within these local communities. 2) What actions have you taken to address the above social aims? PDSE offers access to free dental health care for all with the majority of the patient treatments delivered by Dental School students, supported and supervised by qualified dentists and dental health professionals. We offer a full range of dental care to meet patients oral health needs and we render patients dentally fit before discharge. We have an active community engagement team who work to build relationships with a range of community organisations and charities for vulnerable and disadvantaged people, in order to recruit and encourage patients to adopt positive healthy lifestyles. We deliver a number of community programmes that focus on community prevention, community empowerment and health improvement, many of which have received national and international attention (please see later section for more detail). 3) What has changed and what benefits have been realised as a result of your actions? All the patients visiting the DEFs benefit directly from free high quality dental care, which is difficult to source in the NHS across Devon and Cornwall. Communities benefit from our community outreach and promotion work. Many thousands of children have benefitted from oral health education, free toothbrushes and toothpaste, and supervised tooth brushing in early year’s settings and schools through the work of PDSE. Examples of projects are provided later in the application. We work in partnership with the NHS, local authorities and health organisations to maximise the opportunities for community benefit and social impact. We share best practise and expertise across a number of extended networks and forums to promote the principles of social enterprise, community oral health improvement and providing dental care to those most in need. 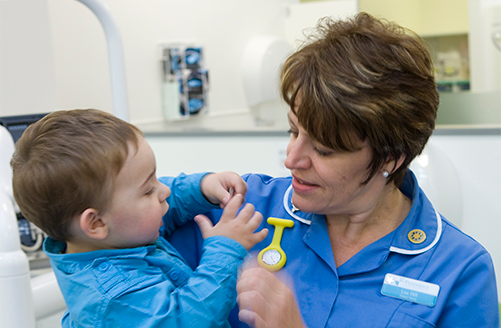 Developing and supporting the fluoride varnish programme. Training ‘dental ambassadors’ in Children’s Centres. Implementing supervised brushing sessions in early years settings such as Children’s’ and Sure Start Centres, schools, Family Intervention Projects, community venues and others. Engaging directly with the local population to encourage attendance at Dental Education Facilities via information sessions, community open days, etc. Delivering a range of workshops and activities with partners which encourage and promote improved dental well-being, for example, with parent support advisers in primary schools and information sessions with disadvantaged groups. Providing community-based, dental triage sessions for disadvantaged groups. Working with community based organizations; the CET has built effective and responsive networks and partnerships in the private, public and civil society sectors. Increasing knowledge and awareness for participants. Reducing negative barriers and perceptions that frequently surround accessing dental services. Increased awareness of the importance of a well-balanced diet. Reducing dental pain and anxiety for ‘at risk’ groups. Encouraging families to establish good oral hygiene habits. Helping children to brush effectively. Enabling and empowering people to make more informed choices about oral health. 4) How do you and other people know your aims are being achieved? Or how will you know? PDSE collects feedback from patients via patient satisfaction surveys and through the Family and Friends Test. These consistently demonstrate a high level of satisfaction with the quality of patient care, clinical treatment staff interaction and our facilities at Peninsula. PDSE have a Staff Consultative Committee that meets termly. It is chaired by two of the PDSE Directors with external human resource consultant support. The committee has representation from each of the DEFs and each of the workforce subgroups. Through the Staff Consultative Committee the company communicates organisational information, shares views and consults with the staff representatives. The aim is for mutually acceptable solutions to be sought through the exchange of views and information to maintain and improve the Company’s business development, quality of service provision and working experience. PDSE have been shortlisted for a number of awards such as the Children and Young Persons Awards, Oral Health Awards and the Dental awards 2019. The PDSE website includes testimonials from patients and professionals who we have worked with. These can be viewed here. We also have a website for our Open Wide & Step Inside campaign which includes testimonials about the impact of the campaign. These can be viewed here. We use various social media platforms such as Facebook, LinkedIn and Twitter. This allows us to reach out to the local community, businesses, commissioners and politicians. The below questions are not mandatory, but Mark holders are encouraged to answer them where possible, to provide a fuller account of their social outcomes and the social value they create. 5) How many people have benefitted from your actions? We have DEFs in 4 locations – Exeter, Truro and two in Plymouth. We have an active community outreach where staff work with local community groups to promote oral health and to recruit patients for free dental care. 6) What examples can you provide of a typical service user experience, that helps illustrate the benefits they have experienced as a result of your actions? PDSE work closely with the homeless and the organisations that support them – the Salvation Army, Shekinah, for example – to ensure that they have what they need to maintain good oral health care on the streets, and that they can access dental treatment at one of our DEFs. Better oral health can lead to an upswing in self-confidence and esteem, which in turn can help people turn their lives around. PDSE launched a clinic for homeless people in the city at our Devonport facility to try to address some of the significant barriers that homeless people experience in attempting to access dental care. PDSE met John through the clinic for homeless people. John had suffered with childhood abuse, drug habits, and anxiety and depression. He had experienced multiple cycles of rough sleeping and homeless services. John was a Dental School patient 7 years ago. Following the result of an OT student intervention, John discovered his own capabilities and became motivated to make a change. John entered the recovery programme in October 2017 and is now volunteering, peer mentoring, doing homeless outreach and he is also studying Community Development. The impact of the dental treatment that John received has had a positive impact on his confidence as well as his physical health and nutrition. PDSE also worked with Steve who had an unstable addiction-affected family, he was a carer for his siblings, he lost work through drinking and he suffered with severe depression. Steve experienced multiple cycles of homeless services and detox programmes. Steve received a health warning suggesting he “won’t see his 40th birthday”, which prompted him to change. In Steve’s third year of recovery he started volunteering, peer mentoring, counselling and studying Health and Social Care. The main impact of dental treatment for Steve was an improvement to his confidence and sense of self-worth. 7) What additional social benefits have you been able to deliver within your core services that distinguish you from other “for shareholder profit” providers? 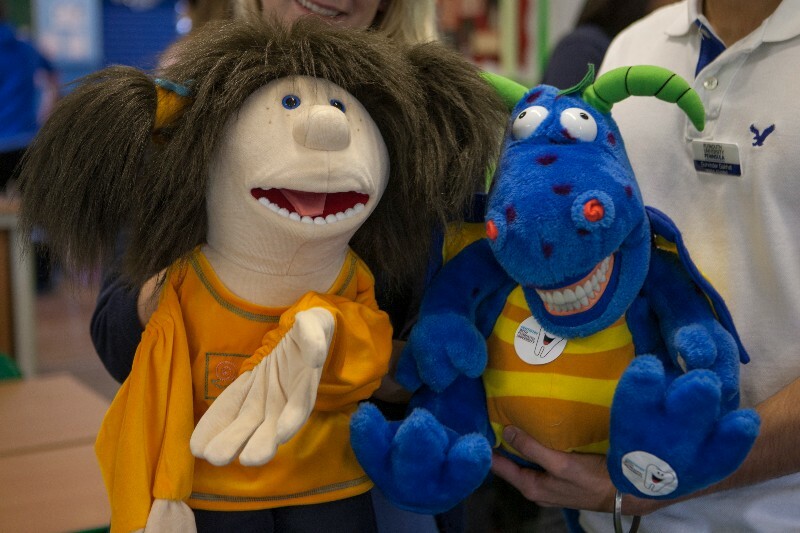 This project has been working with primary schools in Plymouth for approximately 6 years to deliver an innovative oral health education programme using an animation and teacher resources to integrate oral health into Key Stage 1 of the National Curriculum. Continuation funding from Wrigley has seen the project evolve over this time, with the development of a high quality animation and delivery in a classroom setting. The aim is to deliver this project to 29 schools in Plymouth in two phases. PDSE have launched a clinic for homeless people in the city at our Devonport facility to try to address some of the barriers identified in local and national reports by using a community supported model of care. Along with supporting other low income and disadvantaged groups in the city PDSE is addressing the higher policy priorities facing dentistry at the moment and improving people’s lives generating significant social impact and value. This project is a 6 week programme which involves engaging with young people with learning disabilities -most recently working with Well Connected, alongside Dartington Lifeworks College. The first step is to provide ‘Dental Champion’ training to ensure the staff understand the importance of good oral health. The group also visited Derriford Dental Education Facility to learn more about the clinical environment and to build on their learning. A new initiative this year, saw Dental Nurses with additional post-qualifications in Oral Health Education from our Exeter DEF visit over 10 schools and nurseries in the Exeter area. They promoted the importance of oral health and provided brushing packs to over 500 children. As part of the Plymouth City Council’s Child Poverty Action Plan, PDSE and Well Connected have established 31 supervised brushing clubs. More and more schools are being invited to join this project to increase outreach and there are now approximately 3,000 children brushing regularly and effectively in school and nursery settings. 8) What other social benefits have you contributed that go beyond your core delivery activities (ones that are completely unrelated to your main services)? PDSE work with a partner charity, Well Connected to provide community engagement projects supporting local communities to improve oral health awareness and wellbeing. Well Connected (Registered as Creative Connected Communities) was established in August 2017. More details of the Charity can be found at its website. Well Connected manages community placements of undergraduate dental, dental hygiene therapy and medical students working with 40 partner community organisations to promote social awareness and social accountability in the next generation of dental and medical professionals. Community engagement and social awareness is a key element of the University of Plymouth Faculty of Medicine and Dentistry programmes and students work closely with communities throughout their training. 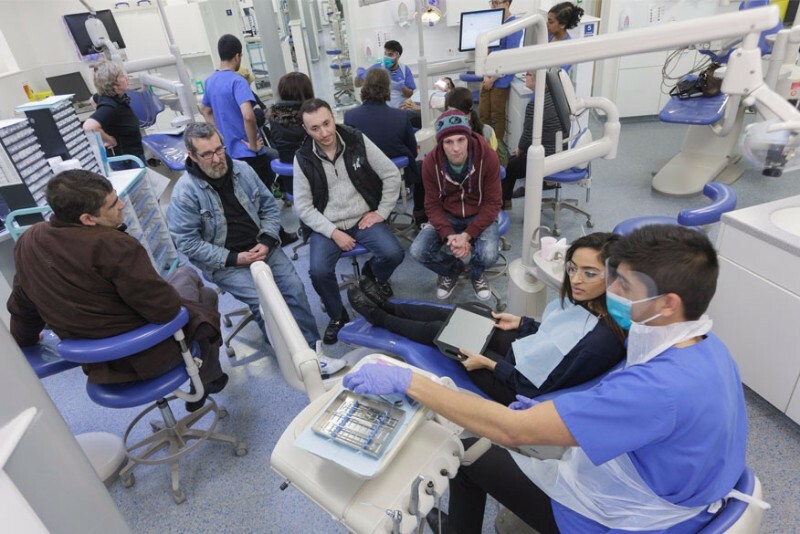 Linking together education of dental and dental therapy hygiene students to communities using our model of community engagement is unique in the UK. It provides students with opportunities to develop a wider range of skills and experiences to draw upon in their professional careers to help them deliver dental care to an increasingly demographically diverse population and in a rapidly changing health environment. These education goals also provide service to local communities and in doing so brings a sense of realism to important oral health challenges and the wider responsibilities of being a dental professional which cannot easily be taught in the classroom. This provides unparalleled contextual learning and experience, not to mention a degree of fun and challenge that meet one third of the learning outcomes in the General Dental Council document ‘Preparing for Practice’. Details of the education programme and student community work can be found here. 9) What social and environmental benefits have you created from internal operational policies and actions? PDSE is committed to reducing its environmental impact. We do this by providing recycling facilities at all the DEFs for plastic, paper and card. We are also about to launch a toothbrush recycling scheme. We also encourage car sharing or public transport where staff are travelling between DEFs or to conferences or events. Our staff have access to Perkbox, an Employee Benefits Scheme designed to enrich the employee experience and promote engagement. This is at a cost of around £6,000 per year. Perkbox gives employees access to an Employee Support Hub, a confidential 24/7 service offering support with emotional, legal, and family issues. There is also access to a wealth of health and wellbeing services as well as discounts on travel, food and drink, shopping and gift experiences. PDSE also offer staff the opportunity to purchase up to an additional two weeks of holiday per year.